Find out more about how Link works here. Link is now a built-in feature of Live 9.6, a free update that Live 9 users can download now. Link is also now available in a number of iOS apps – pricing of apps varies. 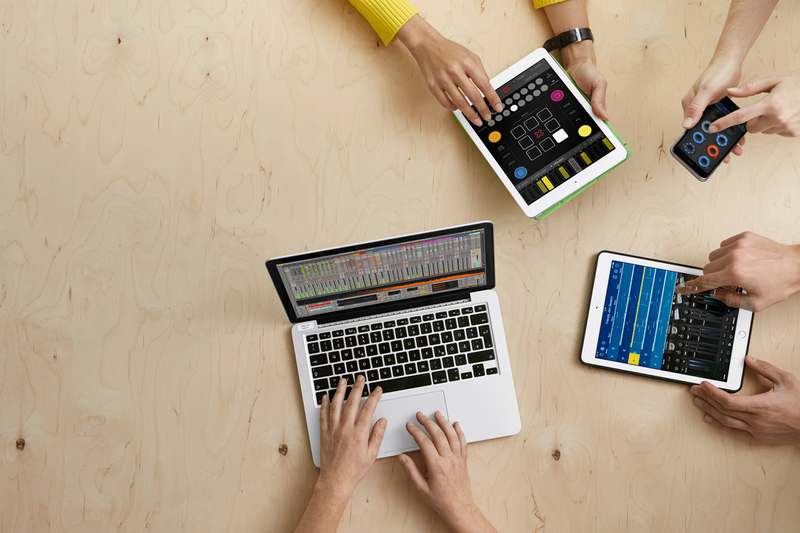 To check out which apps already have Link built in, head to the Ableton site. For more info on the Live 9.6 update, which includes improvements and updates to both Push 1 and Push 2, check out the release notes below. Ableton is sharing the Link SDK for free. If you're an app developer who's interested in joining the band of music-making apps that have Link built in, get in touch with them at link-devs@ableton.com. Introduced Link, a technology which keeps devices in sync when connected to the same network. A 'Link' section has been added to the Link/MIDI preferences tab. Link and The Bridge prevent each other from starting once switched on. Moreover, Link and The Bridge both switch off External sync when activated. Link, The Bridge and External Sync are not available when Live runs as a ReWire slave. The Python framework has been updated to support Python 2.7. Added control surface support for the Arturia KeyLab series, Arturia BeatStep and Arturia MiniLab. Added Control Surface support for the Alesis VX series. When tweaking Warp mode specific parameters in Simpler (i.e. grain size, flux), these are now updated in real time. Previously, these would be only updated on a per-note basis. Improved the time required to slice an audio sample to a Drum Rack. Slicing visualization improvements and other minor cosmetic tweaks for Simpler and Sampler. While samples are offline or still decoding, Slice to Drum Rack and Slice to new MIDI Track from Simpler are disabled. Add a preference to re-enable random clip colors. Updated fonts and added a number of special characters. The Live 8 Legacy Mode in Operator has been renamed to something more meaningful. Performance improvements in waveform rendering. Recovering Live sets after a crash would not succeed under certain circumstances. Live could hang at launch while displaying the splash screen on Windows 10. Live would crash on OS X 10.11 when a user closed the second window while it was shown in fullscreen mode. Tracks created by dragging and dropping a Rack or Rack preset will now correctly be assigned with a new track color. Live might become unresponsive on OS X if no Max application could be found. Furthermore, Live would not find Max 7 on its own on Windows. Live could hang when loading sets referencing Max devices, if these were saved with Max 6.1.7 or earlier. Audio files would not retain the color saved in the respective .asd file when dropped into a track. Replaced one redundant color in the Live color sequence. 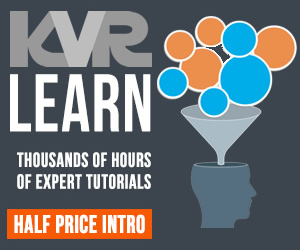 Simpler would cause an unusual high memory usage if the user had set 'Complex' as the default mode for Warping. Live would crash when converting a sliced Simpler to a Drum Rack from within an Instrument Rack. Live would crash when cropping samples in Sampler. A crash could take place when playing back sliced samples in Simpler, if 'Snap' had previously been activated in Classic or One-Shot mode. A crash could occur when dragging the Start Marker to the very end of a file in Simpler and playing back a warped, looped sample with 'Snap' active. Live could crash when playing back warped samples in Simpler. The crash would occur when a new note began playing at the exact same time that another playing note was ending, if that also choked or retriggered the previous note. When slicing an audio Clip to a Sampler based slicing preset, all slices would be assigned to the same root note. Simpler's playhead could jump unexpectedly when starting the transport while playing back warped samples. Dragging a selection of an arrangement clip into Simpler now sets the start and end flags according to the selection. Snap is automatically disabled when slicing a Simpler to a Drum Rack. This ensures that the sound of playback does not change after slicing a Simpler to a Drum Rack. Changing Simpler's playback mode via the keyboard would not be undoable. When dragging the Simpler start flag towards the end of the sample, this would overlap with the End flag, which then could not be clicked nor dragged anymore. The same behavior occurred the other way around (the End flag might have covered the Start flag). The text in the Simpler 'Warp As' button would not be displayed properly when running Live in a language other than English. Fixes a crash which might happen in conjunction with Complex / Pro modes. Improved the CPU performance of Complex and Pro when playing back short loops. Note that while Clip loops are limited to at least 1/16 note in length, simpler loops can be as small as 50 samples. Reduced audible artifacts and improved timing for samples warped with Complex and Complex Pro. The OSR filter might produce unwanted artefacts when used with high frequency and resonance settings. The modulation destinations for the new legacy filters in Simpler and Operator are now hidden and updated correctly when upgrading a device. The spread pitch control is now disabled if Simpler is using Re-Pitch as warping mode. It is now possible to toggle the Global Record button via Push by holding Shift and pressing the Session Record button. 'Mute', 'Solo' and 'Stop Clip' can be locked by holding the respective button. This enables muting tracks, bypassing devices, soloing tracks and stopping Clips with one single button press. To select tracks and devices even while locked mute/solo/stop mode is active, it is now necessary to hold the select button. Improved encoder responsiveness when selecting a parameter through a list on Push 2. Improved the Push initialization process when the unit is power cycled while Live is open. Push 2 Firmware updated to v1.0 build 47. This fixes a problem where the hardware would sometimes fail to initialize on Windows. This Firmware update is also intended to mitigate unexpected high velocity values which might be triggered when Push pads are played softly. This is an intermediate step towards a proper fix. Please note that, depending on your pad sensitivity settings, it might now be more difficult to reach maximum velocity. It is now possible to load and hotswap samples in audio tracks on Push 2. This is achieved by first entering Clip mode. Sample names are now displayed in the browser while hotswapping. When Simpler is in 64 pad slicing mode, the touch strip can work as Pitch Bend or Modulation Wheel. Scales mode can now act as a momentary toggle if held. Furthermore, it is now possible to browse Scales also with the up/down and left/right arrows. 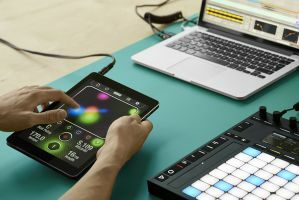 When an empty drum pad is selected, 'Add Device' will work like the 'Browse' button, thus it will not prompt the user to swap the entire Drum Rack anymore but rather will enable to load a device or sample inside the pad. After converting an audio Clip to a Simpler from Push 2, device mode will be selected automatically. Added a 12/24 dB button (filter slope) to Auto Filter, Operator and Sampler for Push 2. When adding a new device to a previously selected pad, the added device will now always be selected. Live would crash when converting a Clip to Simpler, if the device default for Dropping Samples on Device View consisted of a Simpler instance inside an Instrument Rack. When loading a sample from the browser, Simpler's "Mode" would be displayed as "Classic" on Push 2, regardless of the default for "Dropping Samples on Device View". 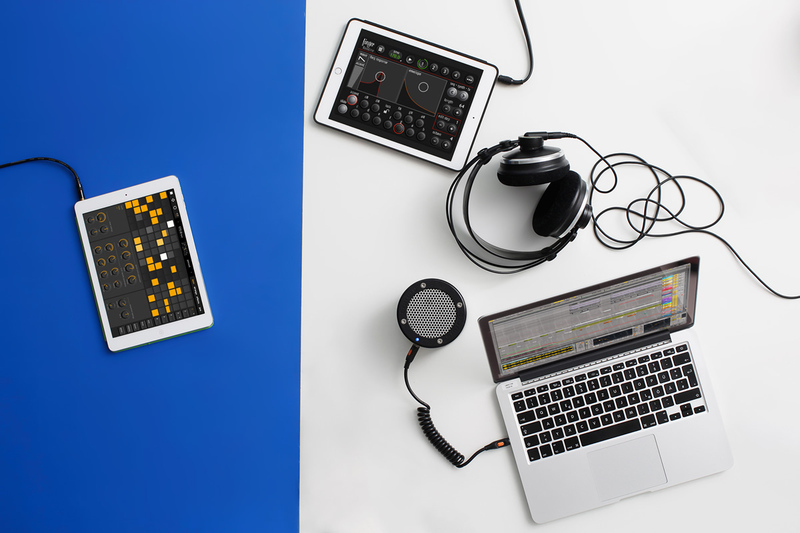 When converting between Simpler and Sampler, Push 2 would lose device selection. Under certain conditions, the waveform in Simpler flickered on display when zooming in on longer samples. When zoomed out on a long sample, it is now possible to see an indication of the existing slices on the Push 2 display. Under certain circumstances the Push pads would not reflect the selected slice when using a sliced Simpler. Mute and Solo would not work on Push 2 if the currently selected track was outside the Session Ring. When moving a channel towards the left while in 'Mix' mode, its channel meter would stop working on Push2. When renaming a macro inside a Rack, the changes would not be immediately reflected on Push 1 and Push 2's display. Introduced a short delay before showing the tempo/swing message when touching the encoders, to reduce the amount of notifications. Push would keep showing the loop selector in sequencer mode after deleting a Clip. The display could get stuck in User mode on Push 2. Additionally, it is now possible to momentarily enter User mode by holding the respective button. The color mapping for Push 2's step sequencers has been improved, to better reflect different velocity ranges. The Arrow Keys would stop working after switching between note and session mode while using the Push 2 browser. Selecting a scene in Live would cause Clip selection from Push not to work anymore. When hotswapping an instrument, browser selection could disappear when scrolling up/down with the Push 2 arrows. No auto preview was available for the currently selected item when navigating to a list using an encoder. Under certain circumstances pressing 'Add Track' and loading a new device would swap the instrument residing in the currently selected track instead. After using 'Collect All and Save', Simpler instances would fail to display a waveform due to the changed file path. Improved waveform rendering when switching through tracks and selecting Drum Pads. When holding the mute/solo button, muted/soloed tracks would display their original color on the display: these now correctly display the muted/soloed state. Previously, Push 2 would only show the left channel for stereo waveforms. As of now, the sum of both channels is shown. Fixed a few visual inconsistencies for Push 2, where the On/Off icons might be missing for some devices and the Sawtooth waveform orientation was be inverted with respect to the one shown in Live's device choosers. When trying to change the Start/End parameter on an empty Simpler, the parameter would stop updating its state on the Push 1 display even after adding a sample. On Push 1, plugin parameter names would not update correctly anymore if these change dynamically e.g. when loading a new preset. In addition, Push 2 now also updates such plugin parameter names dynamically. Push 1 can now utilize custom device banks for Simpler. Dynamic parameter banks are in place for Push 1 as well. Parameters that don't have an effect due to some other parameter being disabled will now be hidden. In addition, Simpler, Sampler, Operator and Auto Filter now have the 'Filter Slope' parameter in their banks. Added control for further Simpler parameters on Push 1: Warp mode, Warp On/Off, Voices, Gain. The encoder resolution for Push 1 was significantly different as of Live 9.5 when compared to previous versions. This has now been rectified. Fractions were not shown correctly for Simpler on the Push1 display. Quantized parameters were not displayed correctly on Push1's bar graph.